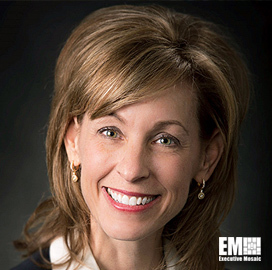 Leanne Caret, a 28-year veteran of Boeing (NYSE: BA), has been elected by the board of directors to serve as president and CEO of the company’s defense, space and security segment beginning March 1. She will succeed Chris Chadwick, who has led the $30.88 billion BDS segment since December 2013 and will retire this spring after 34 years with the company, Boeing said Wednesday. “Leanne has a track record of delivering results, an intense customer focus and the global acumen necessary to build on the existing strengths of our defense, space and security business and grow it for the future, ” CEO Dennis Muilenburg said. Caret is the current president of the BDS organization’s 13, 000-employee global services and support business unit. She previously served as chief financial officer and vice president of finance at BDS and as VP and general manager of Boeing’s vertical lift division, where she held responsibility over attack rotorcraft, cargo and tiltrotor helicopter programs. Ed Dolanski, president and CEO of Boeing’s Aviall subsidiary, will succeed Caret as president of the GS&S business.